Whether it’s for financial reasons or because you’ve become attached to your two-wheel friend, you may be wondering about the best ways to extend its lifespan. How to do you keep it safe and legally running year after year? A motorcycle that lives long is one that is clean. Dirt and other matter corrodes almost everything and can even get inside the engine and other workings of the bike, slowly doing damage. Even superficial dirt to the chain and paint is wise to clean because it will keep your bike looking fresh and reduces the need to replace exterior parts. Any rubber pipes/hosing on your bike should be treated with a product like a color refresher to seal the pores and prevent it from hardening and cracking. 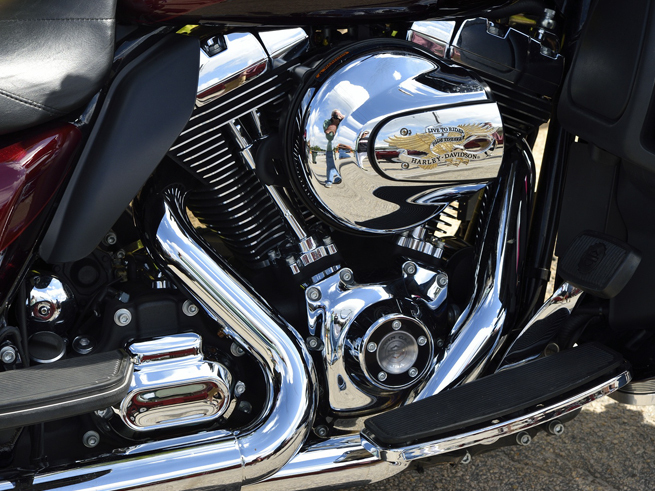 Metal should be sprayed with an anti-corrosion product to make it last longer, especially if storing the bike for a prolonged period of time. Hearing a rattle? Is handling a bit off? The bike doesn’t have the same kick as it used to? You can literally see something that is damaged? Don’t wait to check over your bike and get things fixed, because the longer you wait the more serious any damage could become. Even if you think you’re saving money, you could just be increasing the cost once it catches up to you. Negligence is what shortens the lifespan of motorcycles. The single most important part of a bike is its engine, as this is what powers all the other parts. Always follow the manufacturer’s maintenance schedule and change the engine oil every 6 months or 3000 miles—whichever comes first. This will lubricate your engine, keep it cool, and helps seal the pistons. You should also change the fluid as per your manufacturer’s guidelines and always use the correct or a more premium fuel. A dirty and blocked air filter will prevent your bike from breathing properly and can cause a loss of power because not enough air is available for combustion. It might also reduce fuel economy as your bike works harder to compensate. Remove the filter regularly and give it a clean to unclog it. However, if it’s past its best, it is a good idea to replace it completely. A filter that isn’t actually filtering very well may be letting dirt and particles into the engine, which will reduce its lifespan and decrease performance. The ignition is the process of creating the spark that ignites fuel and air in your bike’s engine. It’s important to maintain the whole system to keep your bike healthy, especially the spark plugs. If these are corroded or overly dirty, you can lose power and even over-heat your engine. If you use a spark plug socket and ratchet to remove the plug for inspection, you’re looking for it to be an orange color. This means it’s running efficiently. However, if it is white then your engine is running too hot. Too many modifications or aftermarket parts that the push the capabilities of your engine or throw individual systems out of whack can shorten the lifespan of your bike. While you don’t have to stick to the stock setup and some upgrades will actually improve longevity, the trick is not to overdo it. An obvious example is installing an after-market exhaust without altering the carburetor to compensate for the additional airflow. If in doubt always ask the experts or refer to the manufacturer’s advice. Ultimately, bike longevity is about using common sense and taking care of your machine; not running it too hard and fixing problems as soon as they start to appear. Got any tips of your own? Let us know in the comments below!